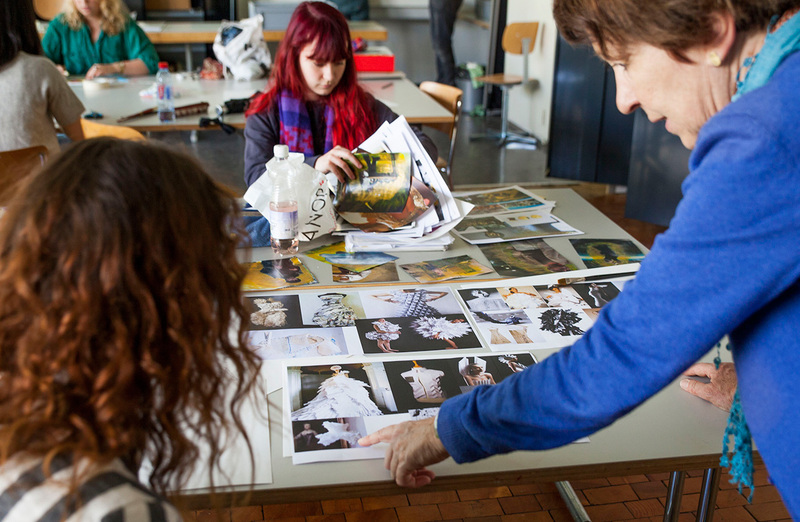 The Basel School of Design specializes in professional design education for the applied arts. 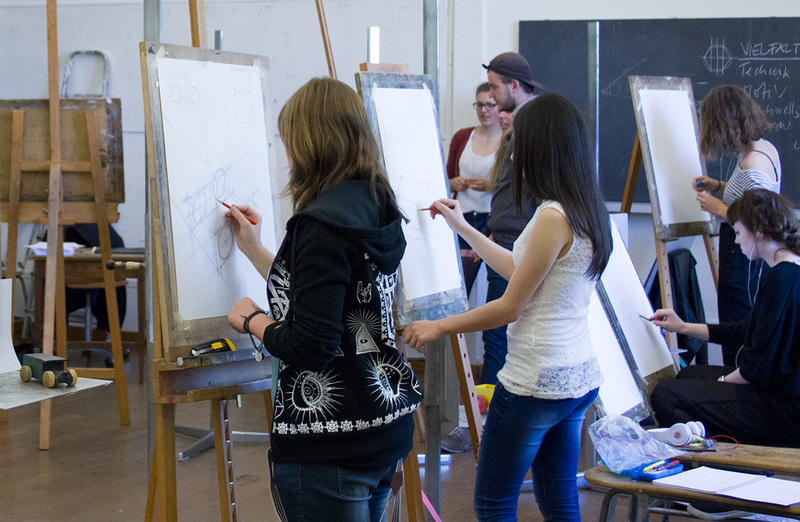 The “Vorkurs“ lays the foundation for further studies at universities of art and design in Switzerland and abroad. The school also offers its own professional courses of study, as well as postgraduate programmes in textile design, typography, and graphic design. 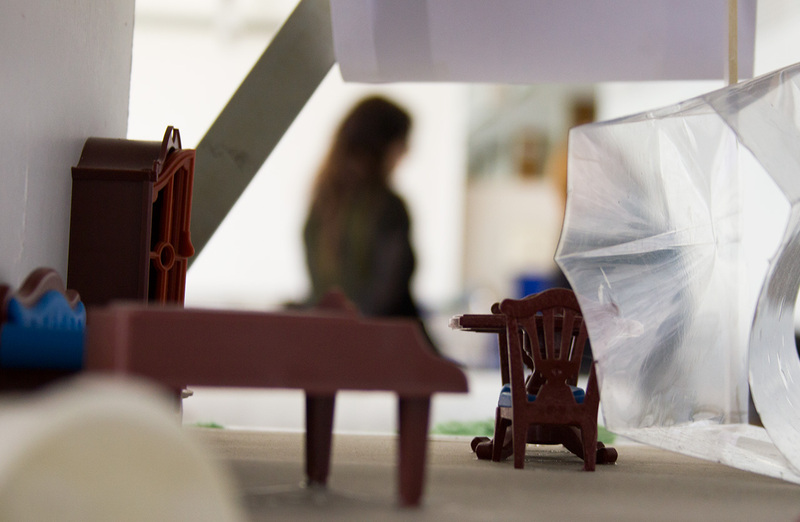 The Basel School of Design invites students, professionals, and teachers to apply for study in the famous foundation programme, the “Vorkurs“ for two semesters, and to concentrate on essential aspects of process-oriented and form-oriented basic design. Through investigations of colour, drawing, letterform design, spatial design, and the development of serial forms, “Basics in Design“ fosters: the refinement of visual perception, the development of strategies of design judgements and the enrichment and differentiation of visual vocabulary. The “Foundation Program“ is an integral part of the “Vorkurs“ program. Approximately 120 students attend the “Vorkurs“ every year and pursue essential training for a professional education in the field of design. The international program “Basics in Design“ comprises one of the seven classes and is held in english. Entry into the program is only possible in the fall semester. Students begin their studies in August for one year. The Basel School of Design does not give credits. A letter of certification, including a description of the courses taken, will be provided by the school director. Process: Introduction to basic issues in typography and typography design by investigating the relationships between letters, words, text, and placement in two-dimensional space. Typographic classification, contrast, and hierarchy are discussed. The combining of typography and image is explored in practical projects. Objectives: To investigate the design process through typographically-focused projects. To develop strategies to applied typographic problems. To learn about the interrelationships between letterform and typography. To examine and analyze historical examples and contemporary applications. Process: investigations concerning the form and content of visual messages in single images as well as in series of images studies are based on a method using extensive research in order to develop and discover new insights assignments are of increasing complexity; in the beginning they are clearly structured, later allowing for more personal freedom in interpretation working with different media, photography, drawing, painting, etc. Process: Introduction to the basics of letterform design and typography through a sequence of practical exercises and the analysis of historical and applied examples. Objectives: To refine awareness of the relationship between form and counterform. To explore design possibilities for letterforms, signs, and symbols. To investigate characteristics and proportions of letterforms. To develop series of interrelated letterforms. To examine contemporary examples and environmental lettering. The “Foundation Program“ is based on fifty years of didactic experience, as well as on the refinement of process- and form-oriented instruction in the field of design. For this particular approach the Basel School of Design is renowned. The programme has its roots in the rich heritage of the Swiss graphic design scene of the 1950s and 1960s. Teachers and designers of that era had a strong influence on the methodology and the content of the “Vorkurs“. Its tradition was shaped by influential personalities such as Armin Hofmann, Emil Ruder, and Kurt Hauert. To this day, the name of the school represents an educational approach which perpetuates their ideas: to lay a strong and broad foundation for the major design disciplines. In addition, the concept of the programme “Basics in Design“ is built on the school’s thirty years of experience in running classes for international students. It revives the spirit of the Advanced Class for Graphic Design, the “Weiterbildungsklasse für Grafik“, developed by Armin Hofmann starting in 1968. - 30 examples of recent work (drawings, studies, photographs, applied design work, etc.) printed on A4 format (210 x 297 mm) or letter format (8 1/2” x 11”) paper. Mark each piece with your name. Do not send electronic files either on CD or by e-mail. - 2 letters of recommendation from the school where you have studied, your employer, or from other figures in the field of art and design. We will accept a maximum of 20 students into the Basics in Design programme. There will also be a waiting list. You will be notified by e-mail of your acceptance at the end of May 2019. We will confirm the receipt of the payments by e-mail within 10 days of the deadlines. Please note: only with the full payment of tuition fees as detailed above will you be able to join the programme and begin your studies at the Basel School of Design. The deposit payment of CHF 3'000.– for the first semester is non-refundable. If you have made a second payment and cancel in writing before August 1, 2019, the tuition fee will be refunded. For any later cancellations no refunds will be made. As a student from a non-European (Non EU) country, you will need a residence permit in order to study in Switzerland. You must apply for this through the Swiss Embassy in your own country. After we receive your deposit payment, we will send you a letter of confirmation stating that you have enrolled at the Basel School of Design. This letter must be presented to the Swiss Embassy in your country in order for you to be issued a residence permit. Important: You must obtain this permit before your arrival in Basel! Applications must be submitted in your home country! The Basel School of Design takes no responsibility for the student’s security during his or her stay at the school or in Basel. Each student is entirely responsible for his or her own health and liability insurance. The city of Basel is located in the heart of Europe and is readily accessible via the European train system. Zurich is 45 minutes away, Milan is 4 hours, Venice, Munich, and Paris 5 to 10 hours away by train. International airlines and low-cost carriers connect the Basel airport with all major European destinations. This opens up a great diversity of weekend excursion possibilities. Basel enjoys a rich cultural life. In the last twenty years it has become a hot spot of contemporary architecture. Leading architectural offices including Herzog de Meuron are to be found in Basel. A young generation of internationally recognized graphic designers, especially active in publishing and editorial design, have their offices in Basel. Most of them graduated from the Basel School of Design and today continue the spirit and great tradition of graphic design in the city. Basel has more than twenty museums, eight of which focus on art and design: Kunstmuseum (Museum of Fine Arts); Gegenwartsmuseum (Museum of Contemporary Art); Schaulager; Beyeler Foundation; Tinguely Museum; Kunsthalle; Architectural Museum; and the Museum for Paper and Printing.